Harjo is on a mission to protect abused women and their children and to change a culture that has ignored, even accepted, abuse. What she once hid from her closest friends and family members she now shares openly with the hope of helping others. She was a divorcee and mother of two when she married a man she had known since she was 12 years old, someone she considered “always sweet, fun loving, smiling” and someone “everybody loved.” Together they had one child. Eventually she took out a restraining order and filed for divorce, actions that prompted her former husband to take his own life. Harjo has been a driving force in helping her tribe establish a domestic violence program and a shelter for abused women and their children. In six years, the shelter has grown from one-and-a-half staff members to 14. The program, beginning with children, seeks to stop the cycle of abuse. SHEILA HARJO is a survivor and out-spoken public advocate for victims of domestic abuse. 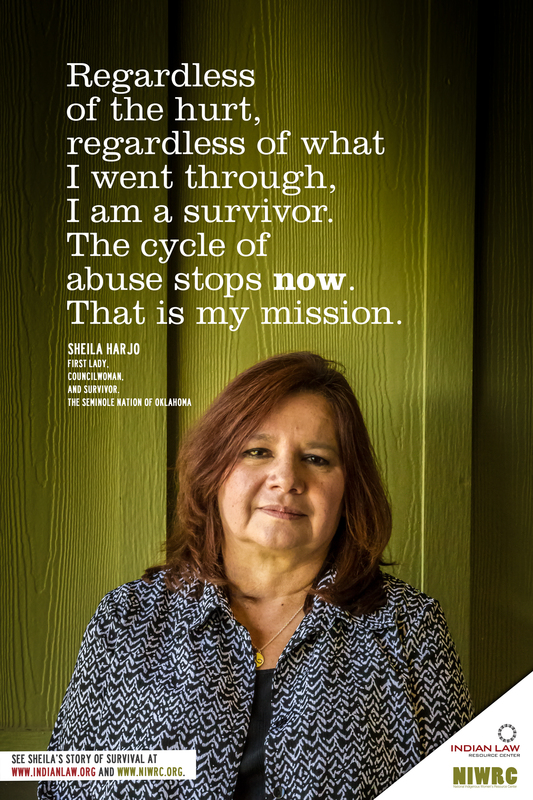 As First Lady of The Seminole Nation of Oklahoma and Councilwoman, she has helped her tribe establish a shelter for abused women and their children and develop a program to break the cycle of abuse she says is all too common among Native families.